“Bicycle infrastructure can bring very positive economic impacts to business communities in North American urban shopping strips. Today, North American urban cyclists are a desirable demographic for local businesses. They are skilled, selective, loyal, and spend more money where they shop than their driving counterparts. Cycling infrastructure is important to them, and therefore important for businesses who want to attract them (both as customers and as employees). 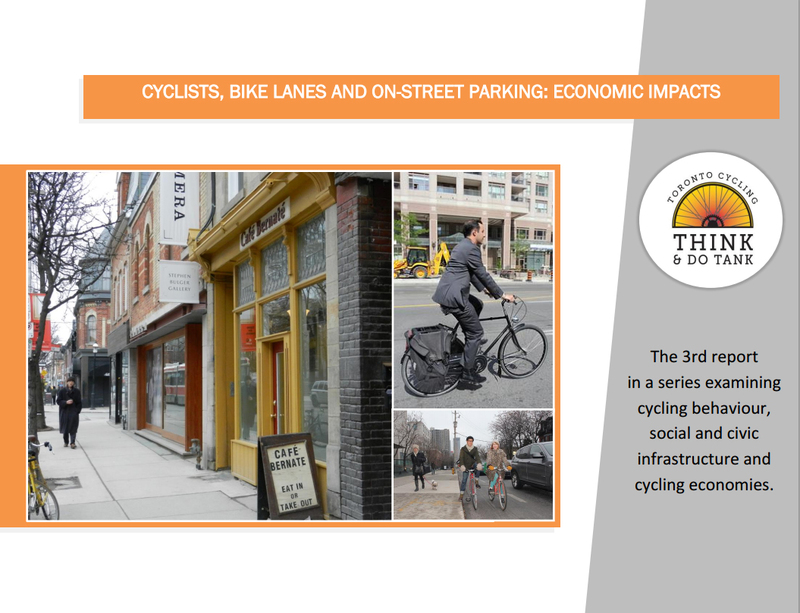 Bicycle lanes and bicycle parking can increase the capacity of roads and the ability of people to shop simultaneously, all while improving various social and environmental aspects of a neighbourhood.